These descriptions are not to be construed as the only rules for the classes.Refer to the current year IKF / SKUSA rule books for complete event rules. LAKC only uses SKUSA rules for class and post technical officiating. All racing and insurance related rules are per IKF unless otherwise noted. ALL Drivers need to provide proof of birth date (i.e. birth certificate, passport, or drivers license) to be eligible for a license with LAKC. NOTE: You will NOT be able to register for any race event unless this information is on file. Pro Shifter 1 IAME 175 SSE C12 and Motul Grand Prix 2T	 398 lbs 15+ Evinco Red 'M' This is the NEW SKUSA 175 SSE Pro Shifter class. 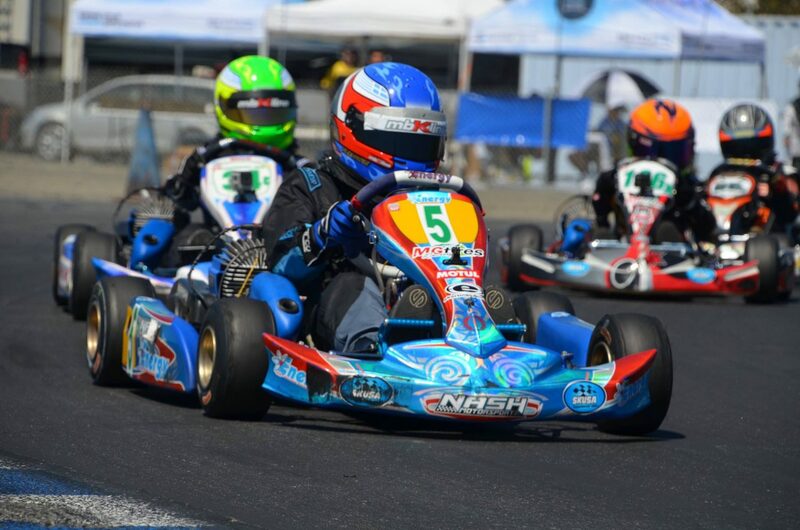 See SKUSA's website for updated rules as they develop through 2019.
license from SKUSA This is a PRO Class. Pro Shifter 2 IAME 175 SSE C12 and Motul Grand Prix 2T	 398 lbs 15+ Evinco Red 'M' This is the NEW SKUSA 175 SSE Semi-Pro Shifter class. See SKUSA's website for updated rules as they develop through 2019. G1 IAME 175 SSE C12 and Motul Grand Prix 2T	 415 lbs 30+ Evinco Red 'M' This is the NEW SKUSA 175 SSE Master (30+) Shifter class. See SKUSA's website for updated rules as they develop through 2019. G2 IAME 175 SSE C12 and Motul Grand Prix 2T	 415 lbs 45+ Evinco Red 'M' This is the NEW SKUSA 175 SSE Super Master (45+) Shifter class. See SKUSA's website for updated rules as they develop through 2019. Open Shifter - Beginner KZ / Rok / 125cc Moto / etc. C12 and Motul Grand Prix 2T	 395lbs 15+ Evinco Red 'M' Beginner Shifter Class!! Any first time racers, gentleman racers, or other shifter drivers, this is your class to start racing in. We are aiming for this class to be around 1+ seconds slower than the top S3 drivers. The class's intention to give the recreational racers a class to belong in, where the goal is to race and have fun. license from SKUSAPer SKUSA Technical Rules. license from SKUSA Per SKUSA & LAKC rules. Competitor must be the attained age of 15 by December 31 of current year. All minors must present certified proof of birth. license from SKUSA Per SKUSA & LAKC rules. Competitor must be the attained age of 30 by December 31 of current year. license from SKUSA Per SKUSA & LAKC rules. Competitor must be the attained age of 45 by December 31 of current year. KA100 - Junior IAME KA100 + 22mm factory exhaust restrictor C12/Motul Grand Prix 2T 320lbs 12-15 Evinco Blue, 4.5/7.1 Per SKUSA & LAKC rules. Competitor must be the attained age of 12 by December 31 of current year. Requires a 22mm Exhaust Restrictor, IAME part # IAH-02011. KA100 - Senior IAME KA100 C12/Motul Grand Prix 2T 360 15+ Evinco Blue, 4.5/7.1 Per SKUSA & LAKC rules. Competitor must be the attained age of 15 by December 31 of current year. KA100 - Master IAME KA100 C12/Motul Grand Prix 2T 380 30+ Evinco Blue, 4.5/7.1 Per SKUSA & LAKC rules. Competitor must be the attained age of 30 by December 31 of current year. KA100 - Super Master IAME KA100 C12/Motul Grand Prix 2T 380 45+ Evinco Blue, 4.5/7.1 Per SKUSA & LAKC rules. Competitor must be the attained age of 45 by December 31 of current year. What does “Novice” mean? : These class variations are for drivers who are not quite able to compete for the top positions in our championship classes. There are many reasons why these classes may be the best option for you. It may be because you race with older equipment, you have entry level equipment, you have less time to practice your skills, it’s one of your first years racing, and many other reasons. For whatever the reason, enter these classes to compete with drivers in similar situations. #All past Novice champions MUST be moved up to the next skill level in their division. What does “NC” mean? : This is the designation for our NON-Contact classes. NC means that there will not be avoidable contact during the race. The on track race officials will determine, at their discretion, when avoidable contact has occurred. Infractions will result in actions ranging from a warning, being docked finishing positions, or disqualification. Fuel Testing and Sample: Fuel is specified and must pass any test presented by the official tech personnel. The “sample” fuel will be VP-C12 with Motul 2T Grand Prix mix oil at 16:1 Ratio. Participant is allowed one “fuel check”. Any DQ is at the discretion of the Post Tech Supervisor. His decision is final and not pro testable. Disclaimer: LAKC reserves the right to eliminate or add any class that does not meet the minimum requirements to be eligible for a championship. The minimum average to make a championship class is 5 per race. LAKC reserves the right to alter or change any of the above description as needed.